The Summit Health Christmas Cash Dash Bonanza 10K/5K/1 Mile Elf Run will be held Saturday, November 10, 2018 at the Grand Point Church, 2230 Grand Point Road, Chambersburg, PA 17202, starting at 8:00 a.m. Proceeds will benefit the Franklin County Therapeutic Riding Center located in Chambersburg, PA. The facility uses horseback riding as therapy for those who need an emotional and spiritual uplift. Start times are 8:00 a.m. for the 1 Mile Elf Run, 8:30 a.m for the 5K Run/Walk, and 8:30 for the 10K Run. Registration is at: http://www.ChristmasCashDash.org There will be $6,250 worth of cash prizes given out at this event. $4,000 will be in the form of bib scratch off prizes. All finishers are eligible for the scratch off. 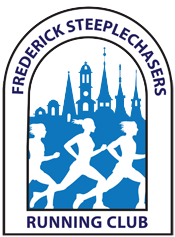 In addition, there will be $100, $75, and $50 prizes for 1st-3rd place in the 10K and 5K races for open and masters divisions. Finally, there will be $150 cash prizes for the most festively dressed male, female, and family/group. This is a very fun event for the entire family!